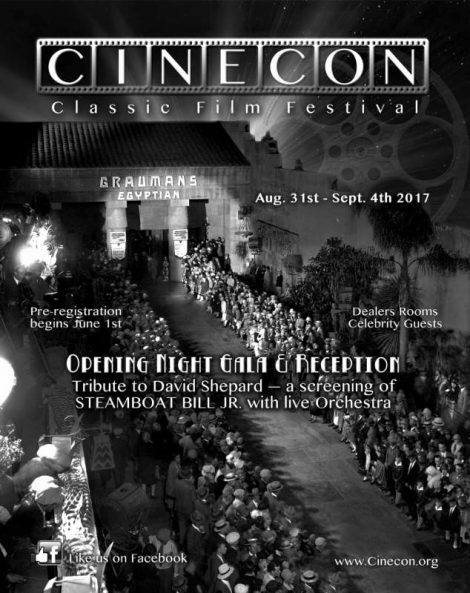 Tags:buster keaton, Cinecon, Norman Lloyd, Steamboat Bill Jr.
For more than half a century Cinephiles have gathered over Labor Day Weekend to celebrate the movies at the annual Cinecon Classic Film Festival. 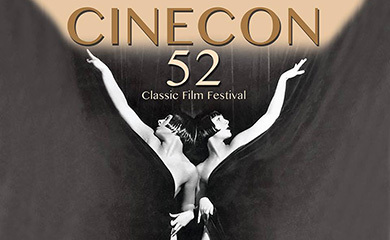 Cinecon is where archivists, authors, collectors and film fans come together for five days of classic film screenings, special programs, celebrity guests, and the best movie memorabilia show in the nation. Cinecon is dedicated to showcasing unusual films that are rarely given public screenings. 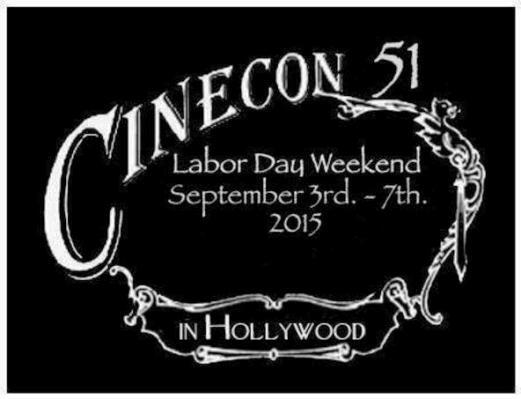 Cinecon 53 will take place in Hollywood from August 31, through September 4, 2017. Loews Hollywood Hotel is the host hotel with all screenings taking place at the historic Egyptian Theater just down the street on Hollywood Blvd. The festival is presented in partnership with Hollywood Heritage, the renowned museum and preservation organization. 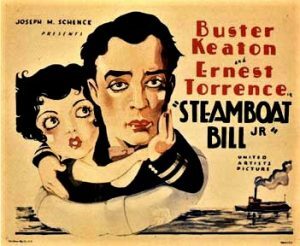 On Thursday, August 31st, the festival will open in grand style with a gala reception in the forecourt of the Egyptian Theatre followed by a David Shepard tribute screening of Steamboat Bill Jr. (1928) starring Buster Keaton. 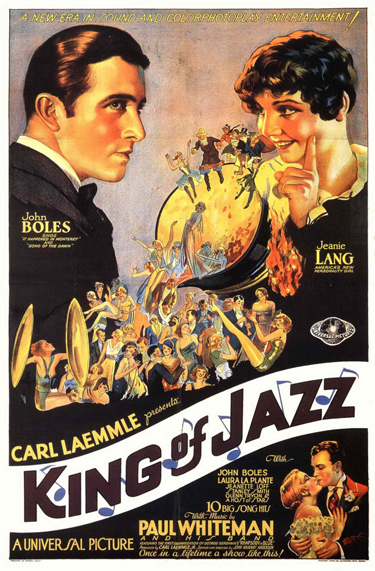 Famous Players Orchestra will provide live musical accompaniment for the film. Legendary actor Norman Lloyd, a personal friend of Buster Keaton’s, will be honored with the Cinecon Legacy Award that night (schedule permitting). This year’s festival will be taking advantage of the fact that the Egyptian Theatre’s projection booth is now equipped to run Nitrate film. 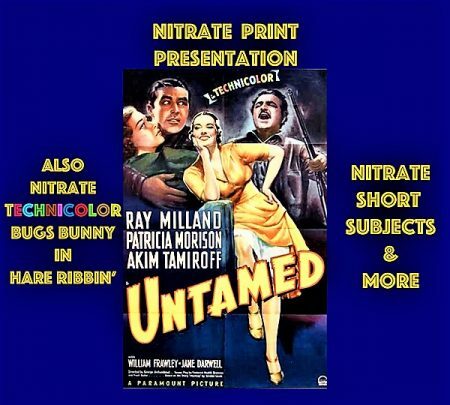 The “Saturday Nitrate Fever” program will include a print of Untamed (1940) and actress Patricia Morison (schedule permitting) is slated to appear before the film. The Spielberg Theatre downstairs will be the home to “Kinecon at Cinecon,” a new and unique program focusing on rare kinescopes (an early form of preservation) from the early television years and many of the films presented come from the only surviving material. Comedy film fans will be excited to attend a premiere of a new documentary from award winning filmmaker Andreas Baum entitled Harold Lloyd: Hollywood’s Timeless Comedy Genius. Harold’s granddaughter, Suzanne Lloyd will be on hand to introduce the film which includes private family footage never before seen in public. 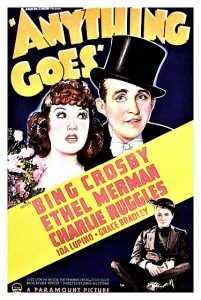 Among the films being scheduled for Cinecon 53 is a rarely seen version of Anything Goes (1936) starring Bing Crosby and Ethel Merman and The Texas Streak (1926) featuring popular screen cowboy Hoot Gibson, who plays a Hollywood cowboy actor in this silent western adventure. Legendary star Spencer Tracy will be seen in Now I’ll Tell (1934), co-starring Alice Faye, in an early screen appearance. 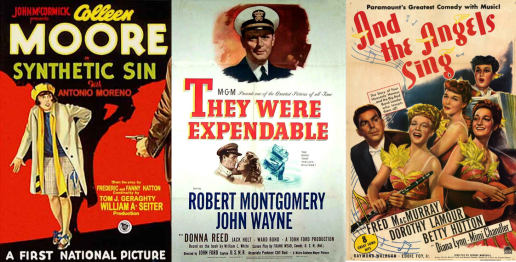 Once again Cinecon will be paying tribute to everyman Jack Oakie by showing a couple of films from his diverse resume: The Texas Rangers (1936) co-starring Fred MacMurray and directed by King Vidor; and Bowery to Broadway (1944), featuring an all-star cast of favorites including Maria Montez, Susanna Foster and Turhan Bey, plus cameos by Donald O’Connor and Peggy Ryan. 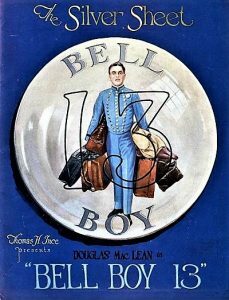 Some of the silent films slated for viewing this year include Thomas Ince’s production of Bellboy 13 (1923). 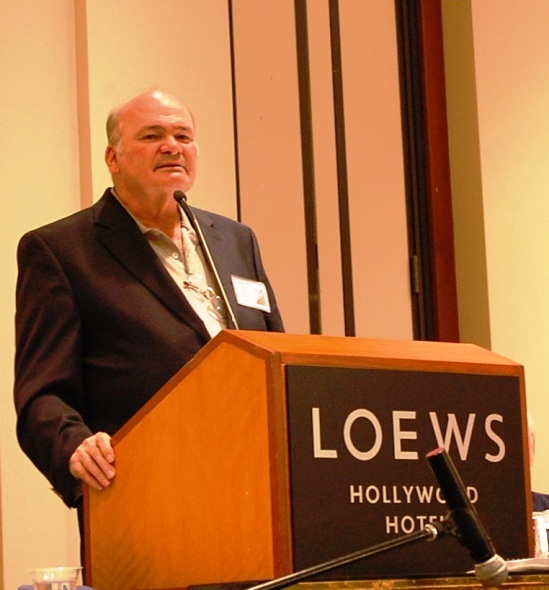 William Seiter, director of Laurel & Hardy’s Sons of the Desert, helmed this early gem. 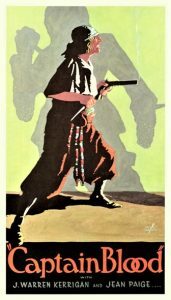 When Dawn Came (1920) the stirring story of a blind girl played by Colleen Moore whose sight is restored by the hero who has fallen in love with her. Having been lost for years, The Library of Congress reconstructed Captain Blood (1924) from the surviving elements. While most people are familiar with Errol Flynn’s 1935 epic, this is the initial screen version based on author Rafael Sabatini’s popular novel starring J. Warren Kerrigan and Jean Paige. Cinecon will also be hosting a world “Re-Premiere” of Polly Redhead (1917), newly preserved by Universal, this charming comedy stars Ella Hall as a Pickford-ish waif with a toddler brother who talks her way into a maid’s job at a wealthy couple’s estate. 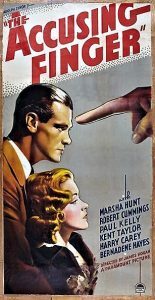 This year’s stellar line-up of early sound films encompasses such unusual titles as The Accusing Finger (1936) starring last year’s recipient of the Cinecon Legacy Award, Marsha Hunt. We hope to have Ms. Hunt with us this again this year; Spring Tonic (1935) featuring Cinecon favorite Claire Trevor; The President Vanishes (1934) a political thriller based on the novel by Rex Stout, creator of Nero Wolfe; Woman-Wise (1937) an action-packed sports drama directed with a light touch by Allan Dwan; and Sing and be Happy (1937), a rarely seen Fox Musical starring a young Tony Martin. 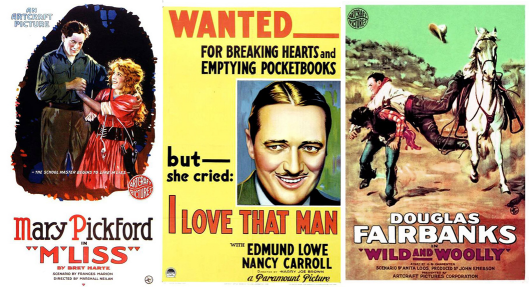 Plus, we’ll be featuring a “Salute to Universal 1940’s B-Pictures” with a trio of quickies, North to the Klondike (1942), La Conga Nights (1940) and Riders of the Santa Fe (1944), all three films will be projected in recently restored 35MM prints from Universal Pictures. There will also be an interesting selection of short films including a presentation of Milton Schwarzwald’s Mentone Shorts. These one & two-reelers, produced at Universal Studios in the 1930s, were never sold to television or home markets, so they have not been seen for over eight decades. Film historian Mark Cantor will introduce this special program of rarities. Cinecon 53 will also feature special programs as well as a movie memorabilia show at Loews Hollywood Hotel located at 1755 N. Highland Avenue in Hollywood, around the corner from the Egyptian Theater. Attendees may purchase rare movie stills, posters, lobby cards and other film-related collectibles in our dealer’s rooms and have books signed at our author’s tables. 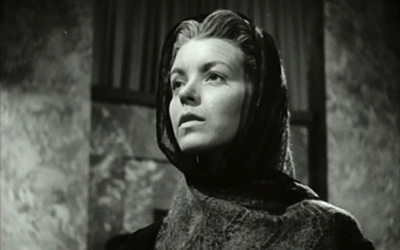 All announced titles are subject to final film clearances. Please check Cinecon 53 Website for schedule updates, details on how to register, and hotel information. Also visit our Facebook page HERE. Passes are available for purchase online at Cinecon Film Festival. Actor Norman Lloyd will be Honored with the Cinecon Legacy Award! Full Festival Passes are available at the pre-registration price of $175 until August 15th. After that they will go up to $200. So it’s best to purchase them early. We are also offering Day Passes from $40-$50 (depending on the day). All announced titles are subject to final film clearances. 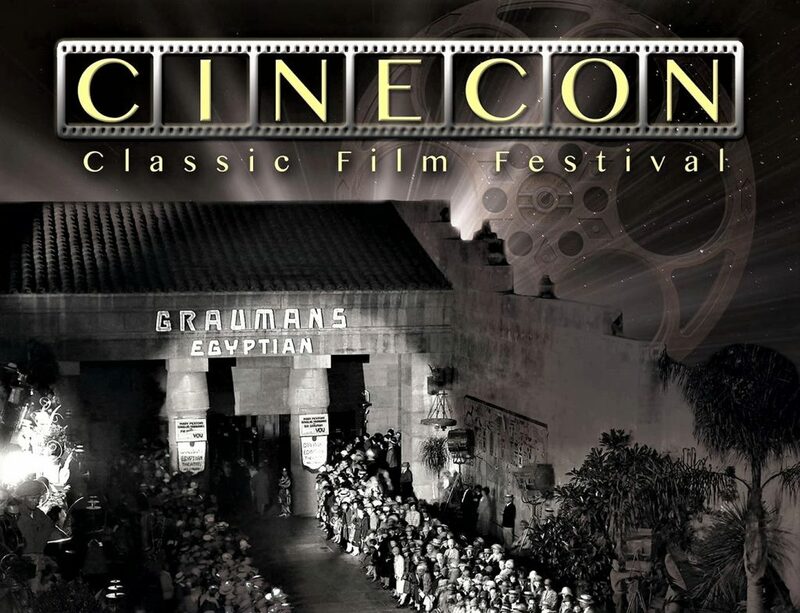 Please visit www.cinecon.org for film titles, schedule updates, hotel information and more! For half a century Cinephiles have gathered over Labor Day Weekend to celebrate the movies at the annual Cinecon Classic Film Festival. 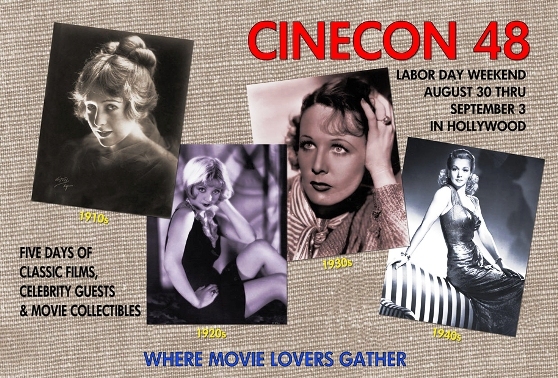 Cinecon is where archivists, authors, collectors and film fans come together for five days of classic film screenings, special programs, celebrity guests, and the best movie memorabilia show in the nation. Cinecon is dedicated to showcasing unusual films that are rarely given public screenings. 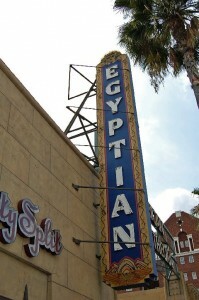 Loews Hollywood Hotel is the host hotel with all screenings taking place at the historic Egyptian Theater just down the street on Hollywood Blvd. There will also be a Memorabilia Show and Author’s book signings all weekend. Here is the film schedule for Cinecon 46. For more information about these films visit our Film Line-up page. 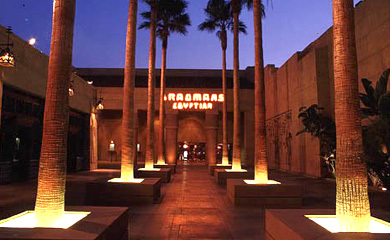 All of these screenings will be at Grauman’s Egyptian Theater, 6712 Hollywood Boulevard. Admission is by day pass or full festival pass which can be purchased in advance or at the door during the show, please see our Registration page for more information. Show times are approximate and this schedule is subject to change without notice. Some films are listed here pending final clearance. Guests appearances are confirmed subject to unforeseen circumstances. The good people at Cinecon do their best to stick to the schedule, but changes and delays are inevitable.